Though Facebook has budgeted huge amounts to get original video content on its platform, it is the short viral clips that are proving popular among users. This comes about two weeks after Facebook Watch was launched with original content from various partners. Some of the publishers who have contributed content to Facebook Watch since it was unveiled include The Atlantic, National Geographic, Mashable, Cheddar, The Dodo, Buzzfeed and Group Nine Media. Longer-form programs which were commissioned by Facebook included Virtually Dating from Conde Nast, Strangers from Refinery29, Returning the Favor by Mike Rowe. Another reality series that is available on Facebook is Ball in the Family. According to a report in the Wall Street Journal, Facebook is allocating approximately $1 billion for original programming. Ironically the videos that are getting the most views are short-form viral clips that revolve around pranks, sketches and animals which are cheap to produce. These kind of clips are also widely available on YouTube and Facebook news feed. With regards to original programming the most popular video in Facebook Watch’s first five days was Bae or Bail, a game show by A&E, which revolves around pranks at a funeral home. By September 5, the show had garnered 22 million views where the audience spent three seconds or more on the show. Details were not provided on how many were able to watch the episodes in their entirety. Skits by Ray William Johnson, a comedian, also proved popular despite the fact that some of them had been repackaged after having been played on Facebook and YouTube. Viral videos produced by The Dodo also proved to be popular on Facebook Watch. Facebook’s most recent deal to acquire original content for its platform is Bleacher Report, which is owned by Time Warner, where the social media giant will pay millions of dollars to have a reality show based on Marshawn Lynch, a National Football League player, available on the Watch video service. “We think we have a big hit on our hands. 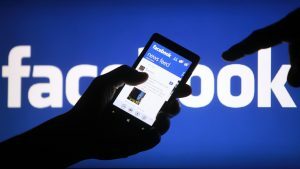 People are going to spend more time on Facebook because of it,” said Bleacher Report’s president, Rory Brown. Named No Script the reality show revolving around the running back who plays for Oakland Raiders comes at a time when competition in online video streaming is heating up. Other tech giants such as Netflix and Amazon are allocating billions of dollars to acquire original video content as they battle for audiences.